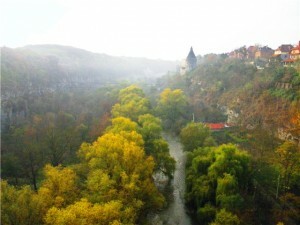 The Beauty Of Ukraine – Podollya! It is the end of the summer and autumn is coming. And the best place in Ukraine for greeting autumn is Podillya, the center of our country with moderate climate and fabulous nature. Let’s make acquaintance with the heart of Ukrainian Podillya – the National Natural Park “Podilsky Tovtry”! The National Park “Podilsky Tovtry” is located in Khmelnytsky region of Ukraine (in the western part of country) and has the area more than 250 sq. km. A very long time ago “Tovtry” – rocky cambered ridge – were the coral reefs along the ancient coastline. This ridge is similar to the Australian Great Barrier Reef but Tovtry is much smaller and are located completely on a dry land. Nowadays the altitude of this massif is near the 500 m. » Read more.. Comments Off on The Beauty Of Ukraine – Podollya! There are some crafts that accompany mankind for more than several thousand years. Ceramics and pottery are among that number. Since men had learnt the secret of a piece of clay and began to handle the clay, they opened the new age of civilization. A quite ordinary, unattractive-looking piece of clay became the best gift for people. In meant all – warm cooking, primitive decorations, toys for children, and – last but not least – a possibility to remind their descendants about ancestors through statues and rite things. The oldest known pottery dates to 20,000 BC, at the height of the ice age, long before the beginnings of agriculture. 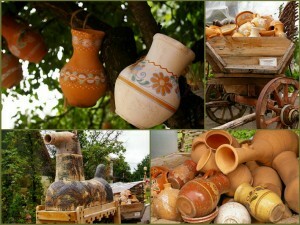 Pottery became part of a culture and maintains his position yet. The little secret of every beautiful and successful woman is very thrilling and tempting for every men. The secret of lady’s self-confidence is… her lingerie. No matter what the clothes, shoes or accessories are on a lady: if she wears a beautiful seductive lingerie she always feels herself great like an actress in front of cameras on the red carpet! So now you know why the ladies from Step2Love are so seductive! Let’s talk about the history of their little secret. » Read more..
Ukraine is a multicultural country where customs and traditions were created by the experiences of lots of generation and nationalities that had lived there down through the centuries. Every next generation, every new nationality established through its customs and traditions its own view to everyday life, forming in this way the national culture. Therefore, learning more about this culture, its customs and habits may be useful for better understanding this magnificent country. Cuisine, eating and drinking is an integral part of such understanding, so it is worth observing. 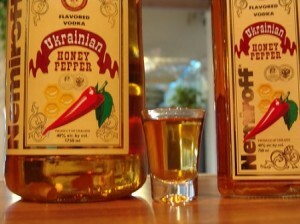 » Read more..
Trip On Photo-Safari… To Ukraine! If you always dreamed to take part in safari you can make your dreams come true not only in Africa. There is a really beautiful place that preserved a primeval nature with different and rare kind of wild animals and plants in Ukraine. 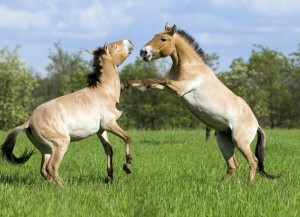 Here in a picturesque Biosphere Reserve Askaniya Nova you may take part in engrossing Ukrainian Photo-Safari! Comments Off on Trip On Photo-Safari… To Ukraine! Hi everyone! We are sharing with you the fascinating and learning story of different Ukrainian wedding customs and traditions. And today it is the turn of one of the most touching and really amazing rites – the removal of veil. Though rites and customs are the links between centuries and generations, today the Ukrainian marriage ceremony is the mix of ancient rites and modern trends, the unique combination of Western wedding practice and Eastern customs and traditions. » Read more..
Naughty Curls Or Sleek Tresses? They say that ladies with curly hair usually want to have straight and on the contrary ladies who have straight tresses dream about curls. But the genetics is an adamant science and it is not so easy to change your nature. So ladies often undertake different wiles for the sake of changing character of their hair and to become more beautiful. » Read more.. Comments Off on Naughty Curls Or Sleek Tresses? Ukrainian people celebrate Independence Day! The main and the long-awaited holiday is celebrated today in Ukraine, one of the biggest and most important not only state, but also human holiday. Today is Independence Day in Ukraine. 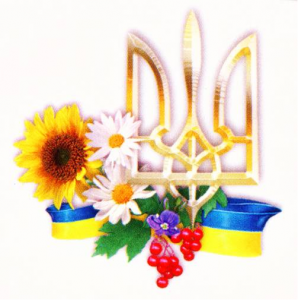 All Ukrainian citizens celebrate this crazy awaited holiday to declare the independence from the Soviet Union in 1991. The Supreme Council of the Ukrainian Soviet Republic adopted the Act of Independence of Ukraine 22 years ago, that is considered to be the date of formation of the state of Ukraine. Up to 1991, Ukraine was the Union of Soviet Socialist Republics (second after Russia, so- called U.S.S.R.). Comments Off on Ukrainian people celebrate Independence Day! Can you remember the last time when started your day without daily cup of coffee? Do you need a caffeine fix in the morning to get you moving? Prefer Coffee Ice Cream or gourmet coffee drinks instead of plain ice cream or tea? You are true coffee fan and information below may be useful for you. And you have the chance to combine the useful with the pleasant and get wants and needs met. Coffee Fest! Just in September! 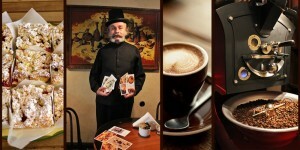 So what about inviting your gorgeous Ukrainian bride to Coffee Fest and enjoying your favorite drink? » Read more.. The Ukrainian customs and traditions are undoubtedly very spectacular and impressive. 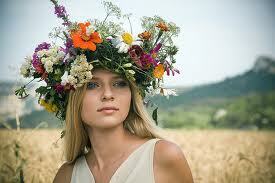 One of such traditions is wearing the wreath, the vinok in Ukrainian. It is the essential component of modern folk or even wedding dressing, the last modern trend. But it rooted in ancient, pre-Christian times, when its wearing had the significant own meaning and served as the status marker of the girl. » Read more..